Terpene infused CBD -it’s ahaze hybrid of Northern Lights #5 and Shiva Skunk. Earthy tang with orange and lemon pepper flavour. Get 10% off your first order – use the code TRYCBD in the cart. View the full El Patron CBD e-liquid range. 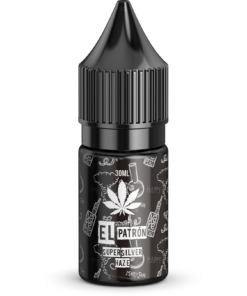 We’re happy to announce that we now stock this fantastic terpene infused El Patron Jack Herer CBD e-liquid. This 60ml bottle of CBD e-juice is made using only the highest-grade ingredients using a 50/50 ratio of PG/VG bases and 300mg of 100% organic cannabidiol additive with zero THC content. While this e-liquid does not taste like marijuana, the flavour profile of the haze hybrid ‘Northern Lights #5’ and ‘Shiva Skunk’ is famous for providing a sharp, earthy tang with orange and lemon pepper and has been a much-desired flavour since its creation in the early 1990s – and we’re proud to say that this 3% terpene infused e-liquid will help you to recreate that special sought-after taste and aroma. This high-quality CBD e-liquid is suitable for vaping in any brand of e-cigarette, and don’t forget, all our e-liquids can be diluted if you prefer something a little less strong. 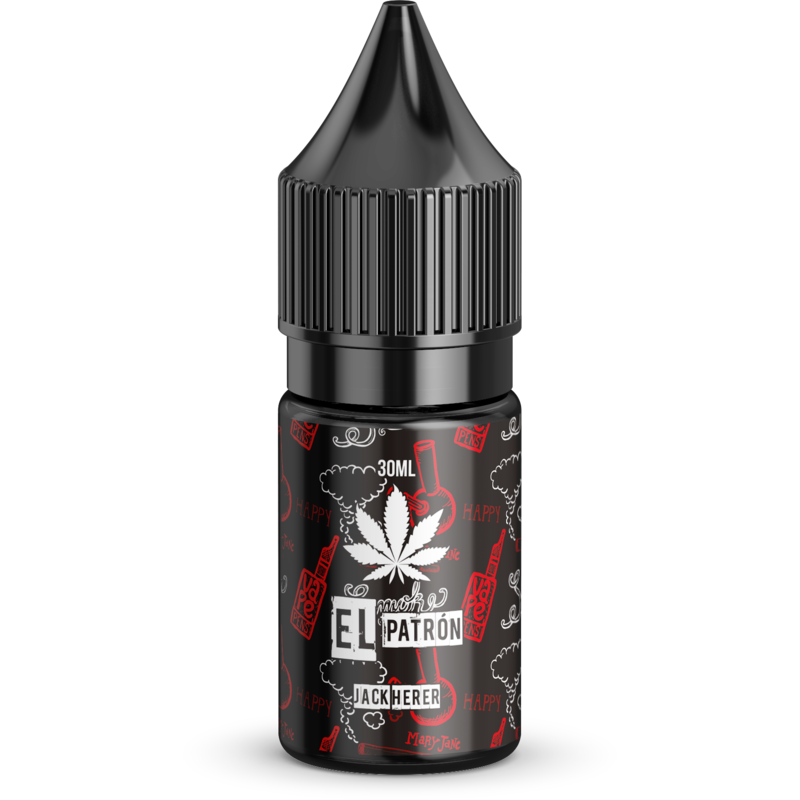 Looking for some new, exciting cannabidiol e-juice similar to our El Patron Jack Herer CBD oil? Why not have a look at our full range? 300mg: Vegetable Glycerin, Propylene Glycol, Natural Flavour, 300mg of Organic Cannabidiol food additive. No THC content. Get 10% Off Your First Order! Buy El Patron CBD E-Liquid At Discount. Don’t forget to enter the code TRYCBD in the cart to get 10% off your first order. 1000mg to 2000mg – high pain. 300mg to 500mg – medium pain. 100mg to 200mg – low pain. 40/60 VG/PG – Decent throat hit with high concentrated flavours. 70/30 or 80/20 High VG – Mild throat hit with high levels of flavour. 50/50 or 40/60 VG/PG – Strong throat hit with lots of flavour. Our laboratory in the UK uses ISO clean rooms to ensure the highest quality. We are proud to be certified with the FDA and to comply with the rigorous tests and guidelines required. To keep your details secure, we use a secure, encrypted payment gateway. Our customer service is always available – responding promptly to all enquiries. Really liked the taste of this one. It vapes really nice.